The citizens of Arroyo Grande’s rights to know, per the Brown Act, that they may be informed, is preempted, forestalled, obstructed and blocked by California Code 54957. It provides for the exclusion of the citizens from the examination of witnesses regarding the City Manager Steve Adams and Teresa McClish matter. Further, that exclusion is magnified if it is a personnel matter that infers the right of privacy in a personnel matter. This preemption is especially acute in disguising the detail on two major issues in the Adams/McClish incident that are, ironically, not specifically relevant to their conduct on July 3. Those issues are the denial of the “coverup” and the criticism of the police assessment of the incident. This is the true ballgame — not the actual issue of what Adams and McClish did on July 3. California Code 54957 does not directly apply to either of these two issues, but their resolution may depend on the current interview process, conducted by retired police officer Charles Hookstra of the employed Sintra Group. Where Brown on Aug. 26 rightfully argued for a “process” and where he was joined by Councilman Joe Costello arguing for “transparency” (that later in a forum he contradicted himself admitting that he believed a reinvestigation would not reveal any new facts) the paralysis of the preemption of the citizens right to know became evident. There has been no process or transparency to inform the citizens. The reinvestigation was sprung on the citizens at a meeting held at 9 a.m. on Oct. 8. The citizens came to give their testimony of a reinvestigation were shocked that the deal had been done. The meeting was a pro forma exercise done as a formality to inform the citizens that the council had acted — ignoring the benefit of the citizens testimony on that day. Remember, throughout this matter from the disclosure of the “tryst” by CalCoastNews on Aug.19, the council meetings on the closed sessions have been under Code Section 54957. This means the final report by Hookstra will not be all encompassing — such as the disclosures by the police as to what they held to be “inappropriate” when they confronted Adams and McClish. It’s a personnel matter. The preemption of citizens’ rights to know is because it’s a personnel matter. Further, since the council’s deliberations were in closed session, they also were on a personnel matter. Secrecy by law abounds. It is reasonable to expect those matters regarding any council member’s conduct will also be omitted from the report. For all those closed meetings dealt with a personnel matter — not the substance of Adams’ accusations, or Ferrara’s urgency to cover up matters since he was running for mayor and the presidency of The League of Cities. And who approves the report before it is presented to the citizens? Why of course, the council. California code 54957 was inappropriately applied. It was not a true personnel “performance evaluation.” Nor is it now. It is the cover up of a personnel matter which is being reinvestigated and will probably be sent to the tombs of covered cover ups. What is the truth here? 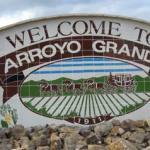 It is the matter of the Arroyo Grande Police Officers Association’s veracity who have vigorously and competently expressed their views. But it certainly appears, however, AGPOA’s goal, “that the selection process, all communications, and the investigation itself be made completely public” so that there is “transparency” will not be served. That POA’s judgment that, “certain members of this council have chosen to prejudge the so-called evidence and have already pre-determined what the outcome should be” may be fulfilled. Why? Because the seminal issue is not the conduct of Adams and McClish, the issue is Mayor Ferrara’s insistence there was not a cover up and Adams confused statements on the veracity of the police. So, the inquisition by Hookstra of the police regarding their observations may be interesting, but the issue is why did Adams slap the police about it, and then why did Ferrara expend his considerable political capital and reputation to cover it up? These are the two net most significant issues and not the probable dalliances in City Hall after a celebratory evening of dinner, wine and tea. Hookstra’s interviews may confirm same details. He is a serious and wizened professional who obviously knows the angles. But will he put the finger on these two major issues — the veritable big picture? For there is no sworn testimony. The preemption on the citizen’s right to know is conflicted for all these reasons. And on top of this, Tony authorizes Sintra’s payments and Adams writes the checks. Yep, the fix could be in! If I am wrong — and I pray that I am — drinks on me at McClintocks. Yes the citizens have the right to know. Unfortunately, there are some things people just don’t want to hear.